CLOSINGS ARE NOW IMPACTING SCHOOLS FOR THURSDAY, JAN. 31. FOR THURSDAY CLOSINGS, GO HERE. The current wave of bitterly cold temperatures in Central Illinois has led to the cancellation of multiple area schools for Wednesday. Wednesday’s forecast is for a high of minus 6 degrees, with wind chills ranging as high as minus 35. Champaign Unit 4 and Urbana District 116 have announced they’ll be closed on Wednesday. In Unit 4, only essential personnel Group 2 should report. All evening activities on Wednesday are canceled. Champaign Park District facilities will be closed Wed, Jan 30. All facilities will operate on reduced hours on Thurs, Jan 31, resuming at 9am. No facility or program will run later than 9pm. For the Champaign Park District latest updates, please visit http://bit.ly/RainoutLineCU. Parkland College (all facilities and grounds) will be closed beginning at 5 p.m. Tuesday, January 29, through Wednesday, January 30. In Urbana District 116, all evening activities for today and Wednesday are canceled. All offices will close today at 4 p.m. The Urbana Park District will close tonight at 7 p.m. All programs and activities will not resume until noon Thursday. The Urbana Free Library will be closed Wednesday, Jan. 30. 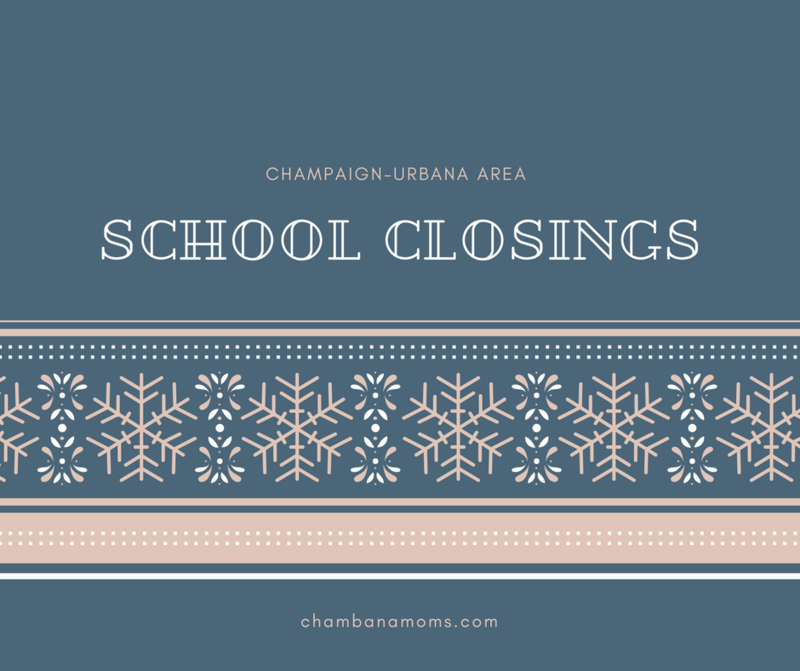 Mahomet-Seymour Schools and Unit 7 are among the other Champaign County schools that will be closed Wednesday. The University of Illinois announced that as of Tuesday at 6 p.m. all classes this evening will be canceled, along with those scheduled for all day Wednesday. The campus will remain open. Need childcare for days when school is out due to snow or cold? Here are is our article about how to find backup childcare in and around Champaign-Urbana.